I've seen a lot of promotion recently for courses that purport to show you how to make loads of money writing children's books and selling them on Amazon. One of them shows you have to use clip art or public domain art for the illustrations. Another suggests you hire people on Fiverr.com to do the illustrations for you for five dollars each. Then you put your book on Amazon and wait for the money to roll in. Prepare for a long wait. Children's books represent the arena in which ebooks have made the smallest impact. Kids like holding books or sitting in their parents' laps while being read to from a traditional book. Also, if you're very skilled maybe you can put together an attractive book with public domain illustrations or Fiverr art, but it's not easy. The biggest question is how you get people to become aware of your book so that somebody buys it. Just putting it on Amazon is like throwing a message in a bottle into the ocean. If you want to write a kids' book for fun or maybe as a present for your grandchildren, by all means go ahead. You can easily set it up as a print-on-demand book. Once in a very great while, such a book could take off. Just don't count on it, and don't spend a lot of money on a course that pretends success is practically guaranteed. Do you follow the 5-hour rule for improving your writing or other skill? The five-hour rule refers to spending at least five hours a week on improving your skill, and it's something practiced by Warren Buffett, Oprah Winfrey, Bill Gates and other very successful people, according to an article at inc.com. 1. Reading. Oprah's dedication to reading is well known, and Simmons says entrepreneur Mark Cuban spends three hours a day reading. 2. Reflecting. This can take the form of meditation, brainstorming alone or with others, journaling, focusing on a particular issue while taking a walk, etc. 3. Experimenting. Simmons traces this back to Ben Franklin, who famously listed the qualities he wanted to exhibit and tracked his success daily. A modern example might be Richard Branson, who starts lots of businesses and quickly drops the ones that don't work out. These days the unglamorous task of improving your skills, which often is not a lot of fun, tends to be overshadowed by stories of very young entrepreneurs and writers and artists who have huge success right away. PS: How to make sure you do it: I've found that the only way I consistently spend time on these kinds of tasks is to keep track of them day by day. You can do this on your calendar or whichever simple way works best for you. "The Pixar people always emphasize that the characters in their films are adults and deal with adult emotions. That’s really kind of a big idea. I always worry toward the end of their process when the picture is about to lock in terms of story, script and form if it’s funny enough. They never worry about that. They worry about emotion. Whether an audience will feel it. Whether it’s got, I think it’s called heart." What's the source of this heart? Newman says, "And, about heart, you can’t put it there, like you sometimes can a joke. It’s got to proceed from who’s up there on the screen and if we care about what happens to them. It must be hard to do, but they’ve done it over and over like no other studio ever has." When I was story editing a sitcom, I had the same philosophy: first, let's make sure the story works, meaning that it presents a conflict that we will care about in terms of how it might affect our protagonist, and it has a beginning, middle, and end. Then we'll make it funny. If you concentrate on the funny first, it's easy to get distracted from the story. 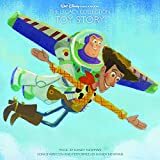 Randy Newman's quotes above come from the notes with the new Walt Disney Records Legacy Collection, which has 20 hours worth of rarities in 12 discs. Each disc comes with an illustrated book, adding up to almost 50,000 words. You can read more about it here. Warning: it'll put a dent into your pocketbook: £222.96 (on Amazon.co.uk) or $240.03 (Amazon.com). Would you Grangerize your books? Did you know that people used to personalize their books by adding illustrations to them? Sometimes they drew or painted these or pasted in maps, engravings, letters, stamps, autographs or photographs. Just like now, somebody figured out how to monetize the trend, although I doubt James Granger used that word. In 1769, he published the Biographical History of England, from Egbert the Great to the Revolution of 1796. It featured blank pages to which you could add your own prints, which you could buy from London print stalls. This became so popular that the process was called Grangerizing and fans of the process were called Grangerites. Many Grangerites were women. As a fascinating article by Amy Stewart in the Literary Hub points out, "It's one of those interesting, mostly forgotten domestic arts practiced by women at a time when they were barred from participating in so much of the arts, culture, and scholarship of their day." As happens with most trends today as well, there was a backlash. Some people trolled the Grangerites, calling them "knights of the shear and paste," and made fun of the Grangerites who went to extremes and had books taken apart and rebound incorporating prints, turning one volume into six or seven. It's an interesting footnote to popular history, but I wonder whether in this increasingly digital age, Grangerizing might make a comeback? Some vanity publishers offer to put your book on display at book fairs, like the London Book Fair, the LA Times Festival of Books, and the Miami Book Fair. Surely the people who organize those events check into the bonafides of the exhibitors, right? Not so much, according to David Gaughran. He says, "The most prestigious event in the UK publishing calendar, the London Book Fair, welcomes predatory operators with open arms, deliberately positions them opposite author events for extra cash, and then helps to whitewash their reputation – even running misleading interviews and puff pieces on its own website to help them get more leads." You can read the entire article here, and if you're tempted to take such a deal or know any author who might, please do read it. What's the origin of the practice of starting a sentence with the word "so," even when that sentence is not following on from anything? It's not totally new (there are examples in Chaucer and Shakespeare) but it has become very common. Mr. Silicon Valley himself, Facebook CEO Mark Zuckerberg, has the habit In an interview with the New York Times, he started four sentences with 'so' just in answering the first question. For example, "So Facebook is not one thing." Radio 4 presenter John Humphrys hates the practice. Really hates it. In a column he wrote, "‘So I am beginning this sentence with a word that is so irritating when it’s used at the start of a sentence that I would understand if you were to rip out this column, screw it into a tight ball and hurl it at the radio the next time you hear my voice coming from it." He added that "the misplaced 'so' has invaded everyday speech like some noxious weed in an untended garden." To which I can only say another increasingly popular word: "Seriously?" Think-tanker and speaker Hunter Thurman has a different interpretation of the effect. In 2014's most-read leadership article on Fastcompany.com, he says it insults your audience, undermines your credibility, and demonstrates that you're not 100% comfortable with what you're saying. I think it's just an annoying substitution for "well," a way to buy an extra second to frame your answer. I propose we stop using it, and instead choose a different random noun every time. Like radish, cartwheel or pickle. It would perk up the audience if Zuckerberg said, "Pickle, Facebook is not one thing." When publishing meets television: a new approach, but is it a good one? When pitching a movie or a TV series, writers sometimes characterize their project as "X" meets "Y"--as in, "Romeo and Juliet" meets "Lord of the Flies." There's a new approach to books that might be described as "TV writing" meets "publishing." New publisher Serial Box produces ebooks in 13 to 15 weekly episodes. The first one and the series bible is created by one writer, who is the equivalent of the Show Runner in TV. The team works out the complete storyline, then writers compose chapters, alternating so the assembly line keeps rolling. Each episode takes about an hour to read and costs $1.99, or you can subscribe and pay $1.59 each, or buy an access pass for all the episodes for about $20. You get both text and audio versions. The first publication is a dystopian YA novel with a premise that sounds pretty familiar: 23 teens wake up after the Apocalypse and have to figure out what happened--while also being hunted by machines. Wired.com quotes co-founder Molly Barton as saying that one of the ideas behind this format is that friends will find it easier to discuss the books because they will be reading them at the same time. I can't say that as an author I'm very excited by this development; television necessarily is a collaborative medium, but in novels I value the author's individual voice. Of course, there have been book series before that were written by various authors under one pen name, and it didn't kill literature. Even so, it'll be interesting to find out whether readers go for this format. One director's take on "write what you know"
How has an author recently raised over $1 million to fund the publishing of a book that tells the stories of 100 inspiring real-life women? The answer is Kickstarter, the crowdfunding site. Better known for raising money for tech gadgets, Kickstarter has become a powerful presence in funding self-publishing and independent publishing in the US and the UK. As reported in an article by Richard Lea in The Guardian, in 2015 there were 1,973 successfully-funded publishing pitches, plus another 994 for comic ands and graphic novels. That added up to $32.5 million. To date in 2016 another $20 million has been raised for such projects. There are other crowdfunding sites that raise money for publishing books, but they are dwarfed by Kickstarter. The people doing the pitch set a goal sum and a time limit within which they hope to raise it; if they fail, those who did pledge money are not charged and the project doesn't get any money. On some other sites, if a project raises only part of the goal, the people doing the pitch get that amount. Kickstarter takes a 5% fee, and payment processing charges. If funding doesn't reach the goal, there are no fees. Some successful projects have an author who already has a following he or she can tap. Without that, you have to work much harder. It's vital that the pitch video is compelling and that the goodies on offer are attractive to the target audience. There is usually a range of rewards tied to various levels of pledges, from a thank you postcard if you pledge a very small amount, to one or more copies of the publication, to signed copies, to bonus posters, to having a character named after you, to spending a day with the author. Even when those elements are in place, the author or publisher has to drive people to the Kickstarter site. This requires a lot of marketing, usually via social media. The Kickstarter site says, "The majority of initial funding usually comes from the fans and friends of each project. If they like it, they'll spread the word to their friends, and so on." Of course, not every pitch gets funded. One of the benefits of using the site is that it gives you a good indication of whether there will be enough demand for your book. In many cases the books haven't been written yet when their Kickstarter campaign starts. If there is a lacklustre response, the author may decide not to go ahead with the project. For the projects that succeed, it's a great way to guarantee a good number of readers who, if they like the book, may help spread the word. Rebel Girls, the book about inspirational women, will start its life with 20,000 readers in place, from 71 countries. If you have a book that you think might be suitable for crowdfunding, check out this page on the Kickstarter site: https://www.kickstarter.com/learn?ref=nav. For a more general overview, take a look at their FAQ page. I'm always interested in reading about how to beat procrastination. It's a great way to procrastinate but sometimes it also yields some helpful tips. What practical resources do I need to organize in order to make this happen? What is the smallest step I could take to make some progress? What will be the impact if I don't? What is the long-term purpose that relates to the task? I think the first two questions are useful and may get you started on a task that seems daunting. Getting together the materials you need may give you enough momentum to take the first small step, and that small bit of progress may convince you that you might as well keep going. The third question often isn't so helpful because the negative consequence of not doing the task is a long way off and therefore easy to ignore. How am I going to feel at the end of the day if I haven't done this, compared to how I'll feel if I have? That brings the possibility of a negative consequence (how you feel about yourself) much closer. The closer it is, the more it's likely to motivate you to take action. We're harnessing the power of guilt. The fourth question, of how the task relates to a long-range goal or purpose also fails when that connection isn't very strong. For instance, we may know that networking is an important component of success in most careers, but that awareness may not be strong enough to get us to go to a networking event tonight when the weather is dreadful, the meeting is across town, and our favorite TV show is on. What's one good thing I could get out of going to this event tonight? If you combine that with imagining yourself getting that result at the event, you create an image to counter-balance the image you see when you look out the window, of the rain pounding down. Set the recorder so you can safely make an image of yourself watching the favorite show when you get back. If the drive across town is putting you off, consider treating yourself to a taxi or Uber ride instead. Our power of rationalization is strong, we have to do everything we can to counteract it. Questions like these can be useful tools in doing that. Entering the Zone of Nothing can free you from this, that's the message in a fifteen minute talk by musician Peter Himmelman. It's at a great site I just discovered, Chicago Ideas. His talk includes observations about how music influences how we perceive things, how the power of Nothing banishes fear, and a song he wrote for his dying father. In the video, he suggests that the people in the audience turn on their phones and spend two minutes writing a text to someone they love, because you never know what tomorrow will bring. I've had two friends who died instantly of heart attacks (neither had a history of heart disease), a good friend's son who drowned, and a nephew whose life was transformed in an instant when he was hit by a drunk driver, so I know what he means. Oh yeah, my house also burned down once. If you've lived for a while, you probably have your own examples. Might be a good time to fire up your phone, too. ps: Himmelman talks about the inner critic (his is called Marv) who sends you messages of fear. I have an audio track that can help you tame your inner critic. If you want me to send to you as an mp3, email me at [email protected] little present, no charge. Take a look at some of the amazing art at this year's Burning Man festival...even more impressive when you realize it's all created to exist for one week only. When the festival is over, the desert landscape is returned to the natural state and there is no sign that these things ever existed. It reminds me of the story of an artist who wanted to explore new directions. Every day for a month he created something and at the end of the day destroyed it. This freed him from worrying about making judgments about the work as it evolved and to experiment more than he normally might have. Also, if you need inspiration for a sci-fi or fantasy story, these pictures should do the job.